Have you ever felt that you want to show your heart to the world? Well, today we created a way for you to do just that. 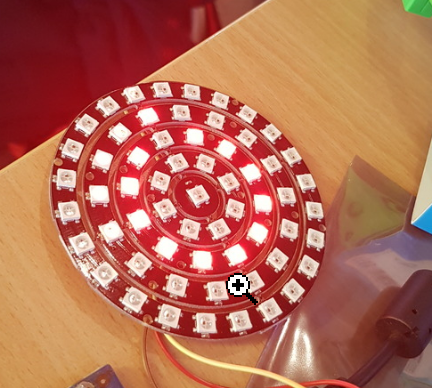 We used a Neopixel ring with 61 individual addressable leds, an ESP8266 and a small heart rate sensor. 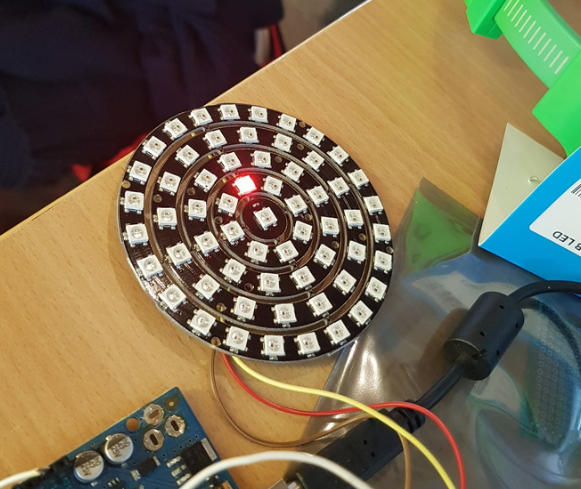 The led ring was a delight to program, Adafruit have made a super easy library. As you can see, with only one include and four lines of code, you can set a specified pixel to your desired color. 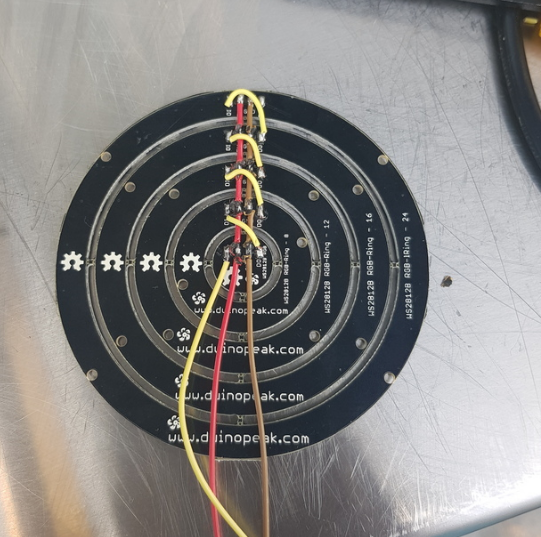 After soldering and programming the ring, it lights up in beat with your heart rate, and it was time to make it a wearable object and to make it look cute, as well as being functional. We ended up with sowing the ring into felt, shaped like a heart. We also disabled the pixels that were outside of the heart so that the pulsing light is confined within the bounds of the heart shape. Under construction - we made an awesome physical object.